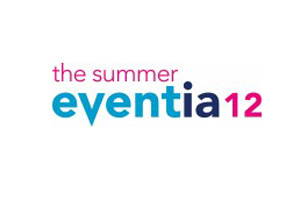 Augmented reality, QR codes and instantaneous content sharing are among the key future trends for technology, delegates heard today at The Summer Eventia. ‘Gamification’, using gaming principles to drive behaviour, and radio-frequency identification (RFID), used in devices like Oyster cards, were also discussed as ways to engage with delegates, promote events and gather intelligence at the Learning Lounge session. "From the brand’s perspective, it is about using your audience as your brand ambassadors," said panelist and Blondefish managing director Laura Moody. "For every post on Facebook, if it is reaching 400 other people, it is very powerful." However, some audiences are more reluctant than others to get involved due to data protection issues, she added. Mobile phone apps are also an opportunity for event planners to engage, delegates heard. Active Network senior account executive Peter Donnelly, who also led the session, said: "The way we interact now, people expect to do a lot more with their phones at events. There’s a fundamental shift from having an app for an event, to having an app for the association. It’s about having member-centric apps." "People can get lost in the mechanics, so they need time to rehearse it or find a way around it," added speaker David Mulcahy, technical director at XL events.